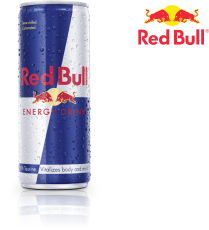 Since 1987, for 30 years Redbull has been sold in 171 countries and well known as being the first energy drink in its product type. The difference from Redbull's competitor is, it includes ingredients that are needed in body and extraordinary effect of refreshing your body. Redbull gives you wings. In accordance with Article 7.2.2, Law on Fight against alcoholism, it is banned to consume alcohol by a person under 21 years old.